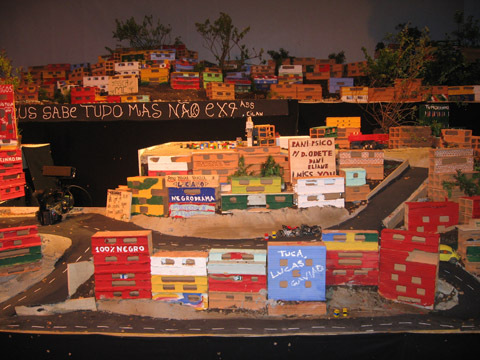 The festival Brasil en Cena II , a Brazilian theatre and performance event featured at “Hau 2” in Berlin the “Morrinho Project”, which is an imitation of a slum in miniatura in Rio de Janeiro. It is built out of bricks made by kids living there. Lego avatars animated by the artists play roles from real favela life. 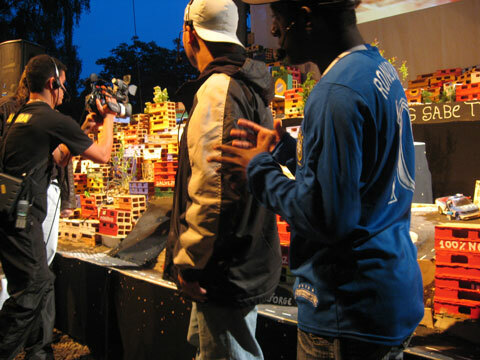 The project was discovered by German documentary filmmakers that visited the favela. Since it has been shown at the 2007 Venice Biennial and other places.